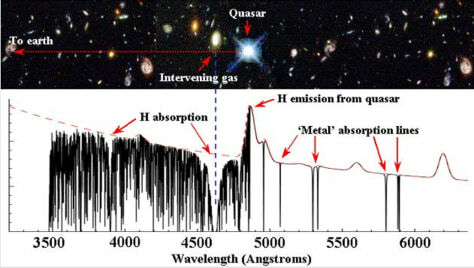 The light from distant quasars passes through intervening gas clouds. Different atoms in the gas absorb light at specific wavelengths. By comparing these quasar absorption lines to those on Earth, researchers can test whether certain constants of nature really are constant.